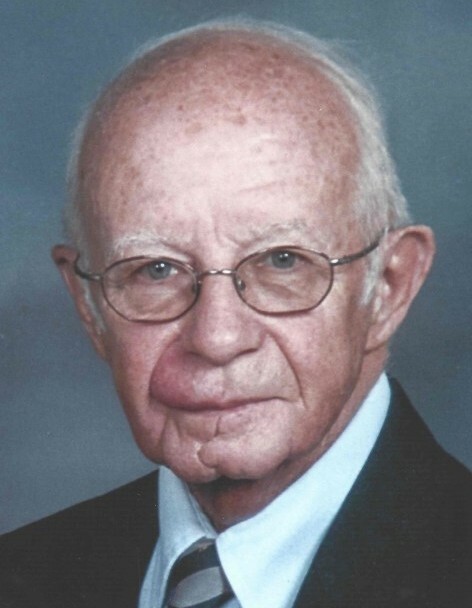 Charles Robert “Chuck” Fullmer, LT USN of Bluffton, SC, formerly of Mentor, OH and Avalon, NJ passed away at his home on Monday, February 11, 2019. Chuck was born on November 17, 1932 in Jersey City, NJ to the late Charles and Vivian Fullmer. He and Marilyn moved to Bluffton in 2002, after retiring from Parker Hannifin Corp. They are parishioners of St. Gregory the Great Catholic Church, where Chuck was a member of the Knights of Columbus and a 4th Degree Knight. He was also a member of the Ancient Order of Hibernians, the Irish Heritage Society, and the Sun City Veterans Association. He was a Navy Veteran, serving from 1955 to 1959, a graduate of the United States Merchant Academy and he received an MBA from Rutgers (NJ) University. Chuck was a volunteer teacher for 11 years in the Computer Lab, which was dedicated to him at St. Gregory the Great Catholic School. He was a loving husband, father, grandfather, and friend to all who knew him. Chuck is survived by his beloved wife of 64 years, Marilyn Delaney Fullmer and their three sons, Paul (Norma Jean) of Pahrump, NV, John (Kimberly) of Simpsonville, SC, and James at home; four grandchildren, Daina Fullmer (Frank Anguilo) of Brick, NJ, Anna Lefkowitz (Joel), Jacklyn Kulis (Lou), and John Charles, all of Cleveland, OH; and one sister, Beverly Pedulla (Al) of Texas. The Fullmer family enjoyed 19 years of sailing Sandpiper on Lake Erie out of Fairport Harbor Yacht Club, Grand River, OH. Chuck and Marilyn were also members of the Avalon NJ Yacht Club. The family will receive friends from 2:00 pm until 3:30 pm on Sunday, February 17, 2019 at Sauls Funeral Home, 90 Simmonsville Rd, Bluffton with a prayer service at 3:30 pm. The funeral mass will be held at 10:30 am, Monday, February 18, 2019 at St. Gregory the Great Catholic Church, 31 St. Gregory Drive, Bluffton followed by Navy Military Honors immediately after mass. Inurnment will be held at the family’s convenience at St. Gregory Resurrection Garden in Bluffton. In lieu of flowers, remembrances in Chuck’s name may be made to St. Gregory the Great Catholic School Scholarship Fund, 31 St. Gregory Drive, Bluffton, SC 29909.